Designing a website can be fun and exciting but when it comes right down to it, the process is actually meticulous and overwhelming. When designing a website from scratch, you have to consider absolutely every detail – from the font down to the color scheme. If you are still on the process of designing your website, this article will help you find the right color scheme to help boost your web traffic. First, you should match or harmonize the color of your website to your brand or physical store (if you have any). That way, there will be easier brand recall and association with your brand/product or store. You should greatly put into consideration the colors to be used for your logo or headline because it will be the first thing that site visitors will notice. If you are thinking of taking the minimalist route, it’s definitely fine — as long as you don’t decide to ditch putting colors in your website. A web page without any color might give site visitors an impression that your website might still be under maintenance, and you wouldn’t really want that to happen, right? Once you have already chosen the set of colors for your web page, you can already start to combine complementary colors so you can come up with a perfect scheme. Background color will also play a big role in your website so it would be best if you choose a color that is universal and easy to work around with other colors. Another thing to consider when choosing colors for your website is your target market or niche. By considering the said factors, it will be easier for you to choose a color scheme because you will simply have to think about what you think would best catch the attention of your market. Age, gender, culture, location, etc. are just some of the things to consider to help you come up with a very specific, targeted and powerful brand and website color that can help boost traffic. Creating and maintaining an impressive and relevant website takes a lot of time, effort and skill. It’s not just about aesthetics – it’s also about the content, the interface, the mobile-compatibility, etc. When a website has a great design and relevant content, users will be enticed to browse and explore the website longer than expected. If you want to enhance your SEO through website design, below are some practical tips you can apply. When designing a website, you should consider some factors that will greatly affect your page’s SEO edge. For example, you need to consider how fast your page loads. If you are using high-res images on your page, the loading speed is expected to be slow which ends up with a poor user experience. Try to optimize the images and content without compromising quality. You can still have medium-res images while letting users enjoy high-quality loading speed on your website. One of the most common mistakes of web designers is putting content that is either irrelevant or full of fluff. 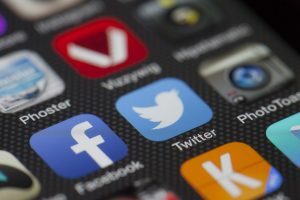 Users are now getting smarter and pickier and they tend to lose trust in a website that is offering irrelevant content. This is why it’s very important that content and design always go hand in hand. No matter how beautiful or impressive a website is, if the content is just like an empty shell, the SEO rank and organic traffic will definitely decline. Web designers aim to get high SEO rankings and engagement. However, is it really possible to achieve? The answer is yes – it may not be easy, but it is highly possible. You can actually use the power of efficient SEO to gain more engagement from users. By simply making relevant information on your website accessible, you can slowly gain the trust of users and they will find themselves spending more time browsing your page. 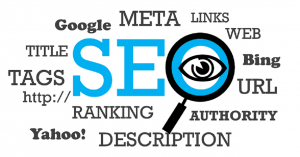 Over time, this will bring a great improvement in your website’s SEO ranking. Building a website is like building a house – it needs time, effort, money and skills. Painstaking as it is, a website also needs to be updated from time to time, or better yet, overhauled. Marketers are usually concerned about what would happen to their website’s traffic during a redesign. That said, below are five ways to retain or increase web traffic during a redesign. When redesigning a website, you should be aware that the SEO department will be the first to be greatly affected. When done properly, a website redesign can drastically boost organic traffic. However, one false move and a redesign could also be the demise of your website. That said, you would want to have the redesign as quickly as possible, right? For you to do that, you have to be very specific about what kind of change you want to see. It might be the content, the color, the font, the layout – whatever it is, get right down to business so your website can go back to business right away. A website is not just all about aesthetics. If you want to increase or retain organic traffic to your website, make sure that you offer relevant content to your visitors – both old and new. 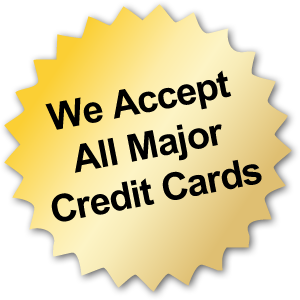 When your website is known to offer relevant or timely content, you will definitely earn loyal visitors. Stop beating around the bush and use available tools to help you with your SEO needs while redesigning. 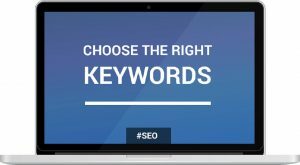 One technique is keyword research and mapping which is basically using keywords found in high-ranking websites in articles featured in your site. While redesigning your website, don’t forget to ensure its mobile responsiveness as well. 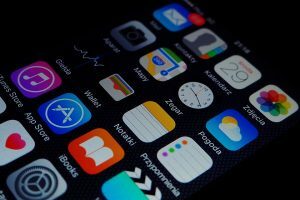 More and more users are browsing the internet on their phones so you might as well keep up with the mobile responsiveness pace. Call-to-action buttons are like a magic portal that plays a big part in traffic conversion. Make sure to use a catchy or unique phrase to peak the interest of visitors and eventually make them click the button. Maintaining a strong and relevant digital campaign is a very important digital marketing strategy and it commonly involves designing a web page. However, it is important to understand that mobile responsiveness must also be taken into consideration because not all browsers or site visitors are viewing from PCs or laptops. 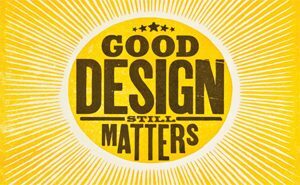 Good web design does not only include impressive graphics, navigation, content, etc. It also includes the responsiveness of a web design that can easily adapt to a viewer’s viewport. In other words, the web site must adjust to a visitor’s screen size/device and not the other way around. 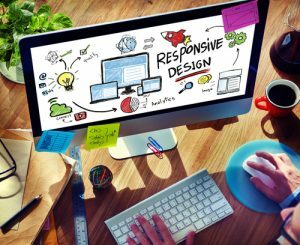 The concept of responsive web design has already existed for decades but it was only until the mid-2000s that developers began applying and appreciating its benefits. This is understandable because it was during that period of time when the rise of mobile phones began. Designing a web page that is not only aesthetic but also functional is a skill. Not everyone can do it and that’s why hiring a professional web designer can be quite pricey. However, the end result will be definitely worth it. With all the devices on the market today – desktops, smartwatches, tablets and smartphones, developers must ensure that websites will be attractive and functional by creating flexible layouts. Today, more and more users are accessing the internet through their smartphones which makes mobile responsiveness very crucial to web design. No matter how big, established or popular a company’s website may be, if it doesn’t cater to mobile users, it would definitely go extinct. Consumers are pushing forward down the digital lane and mobile responsiveness is one of their greatest demands. Any business can build their own website. However, not all business can build an effective website, one that reaches out to their customers and target market. In fact, one of the most common mistakes of web designers is making information difficult to find. Understanding internet behavior is very important so that you can design your website accordingly. There are different reasons why an individual is browsing the internet and you need to understand that each person also has a different way of getting information. Below are seven types of information seeking patterns in a digital setting. Directed Browsing – this process is systematic and fast as the user already has a specific topic in mind. These kinds of users tend to ignore other information handed out to them and simply focuses on relevant content to what they are searching for. Semi-directed Browsing – this is quite similar to directed browsing only that the user has a general idea instead of a specific idea. The process is still relatively fast but more content will be scanned to get more information. Undirected Browsing – this process can be likened to channel surfing. Social media sites are a great example of undirected browsing. Users are not looking for specific content and might just be browsing out of curiosity or entertainment. Known-item Search – this is much more specific than directed browsing. In this process, users already have a specific name for an item or product that they want to search and are most likely to use shortcuts to get their desired information. Exploratory Seeking – this process can be considered as a very vague search because a user has a general idea of what they need but cannot exactly articulate it. This kind of internet behavior is perhaps the most time consuming and a lot of content are taken in. Don’t Know What You Need To Know – Users who exhibit this internet behavior are the ones who usually read product reviews, online discussions and buyer guides. 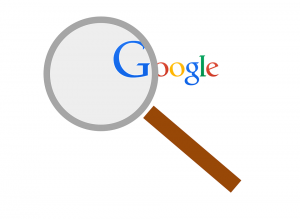 Re-finding – Literally speaking, this pertains to users who are trying to look for content that they have already searched for or read. A lot of websites have a hefty percentage of returning visitors, most of which are retracing their search history. Online or digital marketing has seen a rising trend in the past few years as more and more businesses are embracing its potential. 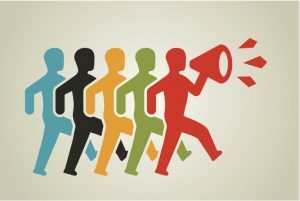 While there may be other platforms available for digital marketing, like social media pages and specific apps, a website or a web page still remains to be solidly relevant in 2019. Why is this so? Basically, websites are considered to be the holy grail when it comes to incorporating SEO strategies and online marketing efforts. The positive outcomes of an effective website may not be seen right away, but most website owners, if not all, actually see progress in the long run. If you would like to boost your online presence, it would be best to start with choosing the best web design. Now that you have already acknowledged the importance of having a website to boost your online presence, you now have to ensure that your landing page is at its best in terms of design, graphics, navigation, content, visual elements, etc. Customers are highly-visual people and their overall impression of your website can definitely make or break your business reputation. To avoid making your landing page look saturated or overwhelming, you might want to suggest the concept of minimalism with your chosen web designer. Keep in mind that customers tend to be turned off when they see a website that looks messy, cluttered or difficult to read. When designing your website, make sure that you strike a balance between an impressive user interface and design so you can end up with a higher conversion rate, and in turn result to an increase in sales and revenues. If you want a website that is designed just the way you like it, you need to work with a professional web designer to get your desired results. Remember, your website is like the facade of your physical store. You would definitely want it to look its best, right? 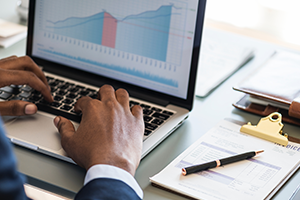 Once you see the trend in the rising profit of your business, you will be convinced that investing in high-quality web design is truly worth it. It’s 2019, and everyone’s heading to the final chapter of another decade. The internet and digital technology is undeniably one of the strongest forces in almost every industry and that’s why it’s very important to strengthen websites more than ever. 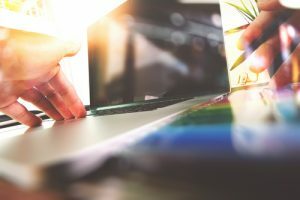 The internet and web-design have seen the rise and fall of trends and with the digital media growing stronger than ever, it is important to ride on with the trend this 2019. Below are top web design trends to jumpstart your 2019 strategy. Serif and San Serif are widely-used whether for print or screen. Their universal readability make them a favorite and it is fairly understandable why. The said fonts are clean, readable yet decorative. Maximize these fonts to give your website a clean, fresh vibe. Professional web pages usually have these things in common – systematic grids and lines with sharp corners. However, more and more websites are adapting to more vibrant visuals with organic shapes and imperfect asymmetrical designs paired with a burst of colors. Chatbots are not new to the website industry but 2019 will definitely see more of these AI minions. Websites are expected to have smarter and customized chatbots that will make user-experience more personalized. Aesthetically-wise, chatbots interface are also expected to be more enticing with brighter colors. If before, only readable content is prominent on websites, videos are now used to further enhance the user’s website visit. Users who are not so keen on reading appreciate videos more. Videos actually diversify the page and make it more interesting. Marie Kondo’s de-cluttering trend has influenced a lot of individuals all around the world. Truly, her approach is quite simple but has a very big impact. Who likes clutter, right? Same goes with websites – cluttered and over-designed website are unpleasant and overwhelming for users. A page that is neat, clean and highly-minimalist will quickly show users what they are looking for, increasing efficiency and site readability. The first tell-tale sign that something’s off with a certain website is by its traffic. Users who are not happy or contented with what a website has to offer almost always leave the page and never come back again. So what do users see first when visiting a website? The design, of course! When users are satisfied with the interface and design of a page, it increases the conversion rate of the web page. 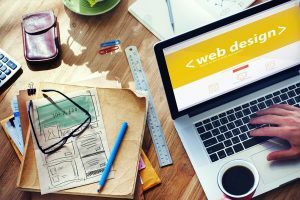 To further boost the success of your website, below are some of the worst web design mistakes you should avoid in 2019. There’s helpful minimalism then there’s too much minimalism. When a website has too much minimalism, users end up getting frustrated due to the page’s lack of information. When practicing minimalism, make sure that the website still has ample information, photos and links to serve the needs of the visitors. It’s a big turn off for users when they visit a website and read irrelevant content instead of coming up with important information. A website should not merely offer content, it should offer relevant content that users will benefit from. Aside from irrelevant content, subpar content also makes a website questionable. Featuring articles with wrong grammar and spelling can also be a big turn-off for website visitors. Websites who feature advertisements or pop-ups inappropriately might send off the wrong impression to their page visitors. Some page visitors may find the ads or pop-ups annoying and might end up getting irritated with all the unnecessary things going on in the page. It is very important to analyze ad placements like a hawk because it can definitely make or break a website’s success. Too much minimalism is a no-no but there’s also a thing as too much information. A website that lays down too much information on the landing page is making a big mistake. When visitors can’t understand a website a few seconds after opening it, it means that there is something wrong with how the content is presented. A successful website is not purely aesthetics – it is an interplay of content, navigation, and visual graphics. A website needs to be designed based on its niche or category so it can look and feel professional. 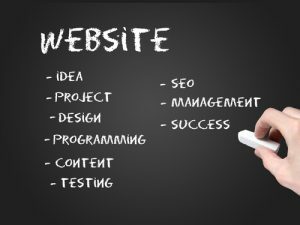 Below are 5 tips to ensure that your website can achieve the professional look and be a hit with users. No one wants to see clutter – whether it be at home, in a drawer, in the closet or kitchen. There is nothing pleasant about clutter and that is what you should also put in mind when designing a website. Practice minimalism when creating or designing a website so that users won’t be visually overwhelmed when visiting your site. This goes hand in hand with minimalism as it emphasizes the need to arrange the tabs and content in a neat and efficient manner. This way, users won’t feel lost when using the website. Also ensure that the spacing, size, contrast and color are well-balanced to make the website visually pleasant. Everything is shortened, summarized or has a shortcut. That is what’s happening in this age of digital technology and that is what the contents of the website should also be. Ensuring the readability of the site’s content will increase the chances of users scanning the website more than they need to because they actually enjoy browsing through it. Remember that the display also plays an important role in the readability factor. Make sure that the contrast is well-balanced and the fonts are easy to read. Users visit a website to browse or get information at their fingertips. They do not need to play games or go on a digital wild goose chase. In other words, keep the website basic and uncomplicated. Do not give them links that go on other links and as much as possible, avoid annoying pop-ups as these are major turnoffs for users. Almost everyone is using their smartphones to browse through websites and if your website still doesn’t have a mobile-friendly version, it’s time to keep pace. You can use Wix to automatically create a mobile-friendly version of your website. The structure of URLs and domain names is one aspect of SEO website owners should pay focus on. The practices listed below will give your site the chance to rank, but take note that these may not apply to every page you create. 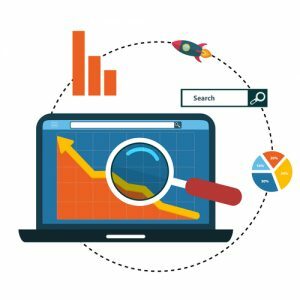 Search engines have undergone tremendous changes throughout the years, but no matter what strategy use, bear in mind that the easier we make things for search engines and its users, better results can be expected. The idea of having a readable URL is something that should be thought about right from the very beginning. SEO is all about accessibility, even more so today that search engines favor the feedback of users than relying on bots alone. Your SEO strategies need not be perfect, but at the very least, ensure that your URL is easy to read and understand, and at the same time relevant to anybody looking for content. To this day, including your keywords in your URLs is still a good thing. This is the easiest way to get people click on your link, especially if it’s posted in an email or on social media. URLs also get copied and pasted often, and when there’s no anchor text used in a link, the URL itself will serve as the anchor text. Remember that keywords in your URL also appear in search results, and experts have said that the URL contributes greatly in a user’s perspective whether to click it or not. That said, make sure that the keywords you’re targeting are well researched. Though this may be always the case, from a general standpoint, shorter URLs are better. You don’t need to shorten yours to the extreme and if it’s already than 60 characters, you’re good. If you have something that’s near a hundred or more characters, however, you should maybe start thinking about rewriting it. Search engines don’t have a problem reading long URLs, though. Instead, it will benefit your users more when it comes to usability. Shorter URLs are easier to embed, share, copy and paste, parse, and read. It may seem like it does very little to improve your SEO, but remember that every engagement counts. Repetition and keyword stuffing in your URL doesn’t look good and — in a word — are pointless. In fact, it makes your site look spammy. Don’t make the tragic mistake of repeating your targeted keywords in your URL; one is enough. Search engines don’t work the same way anymore, where more keywords are better. Your URL is often the first thing users see, so make sure it’s not too complicated to understand.